Tracking Medication should not be a difficult task, however it can become extremely difficult if one is suffering from a chronic condition or if one is trying to figure out what health modalities can help improve performance. CareClinic has done an exceptional job is providing all the tools necessary to stay sane when dealing with a complex medical regimen, or as we call it a ‘care plan’. CareClinic begins by having user’s build a care plan which can include medications, natural ailments, and any other health solution that the user is engaging in for their health goals. 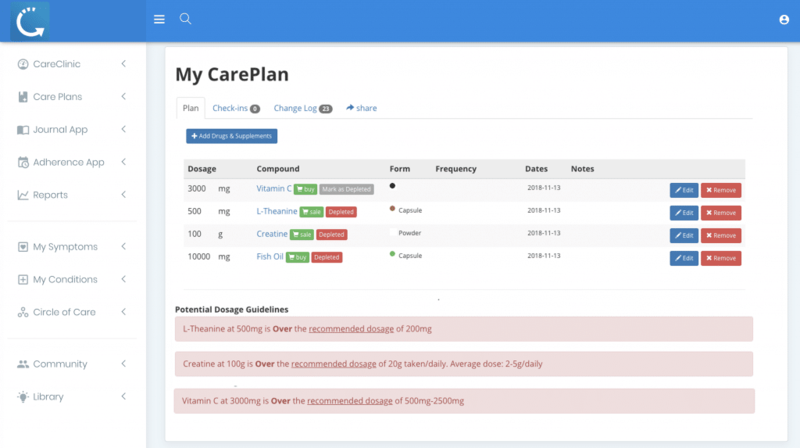 This Careplan is now the central hub for the user (and the user can have many careplans), the user may chose to activate reminders for ailments within the plan, log journal entries against the plan and monitor their health by looking at logs and reports. Many user’s may not need to go to this extent, however we make it possible in case you need it. 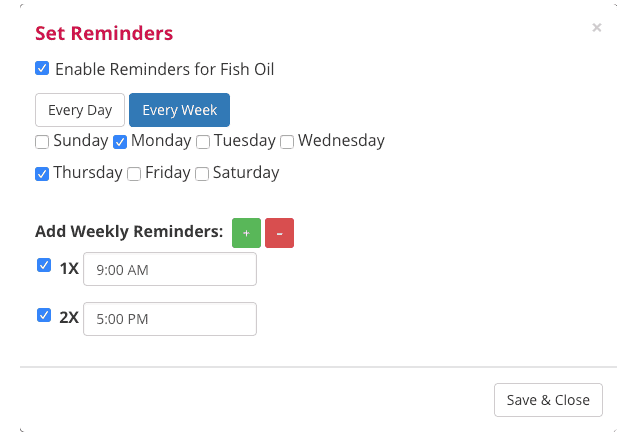 After the medication is added to the CarePlan, we alert the user of any potential dosage alerts, and interactions. See the sample care plan designed by a user below. A reminder can really be set for just about anything. Go ahead give us a try, signup here.